Editing photos often seems elusive to many people. Some may have tried it in the past and been discouraged, while others may have heard all about how complicated it is and been put off before they even started. The main reason why editing photos is so difficult to pick up however is largely down to the software itself – as most editors are designed to appeal to a more professional and experienced crowd. Unlike these other photo editors however, Movavi Photo Editor for Mac is an entirely different beast altogether. It is an image editor for Mac that is designed to be simple and straightforward, while providing an intuitive user experience that caters to everyone – irrespective of whether or not they have any experience in photography or editing photos. Everything about the user interface of Movavi Photo Editor for Mac is in line with its user-friendly approach. When you launch the software you will be greeted by a simple and clean user interface that places the various features you will need just a few clicks away. 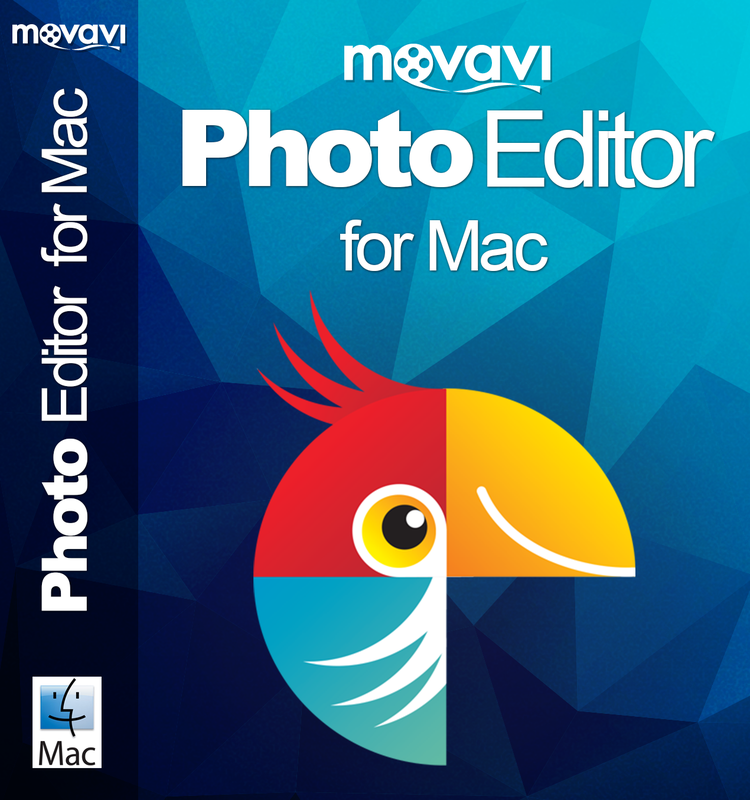 Overall you will find that there is nothing complicated about the controls of Movavi Photo Editor for Mac either. All of its features are designed so that you should be able to intuitively figure out how they work, and in most cases they utilize actions that you’re already familiar with – such as dragging and dropping elements in place, adjusting sliders, resizing windows, and so on. Enhance the quality of photos manually or automatically and rectify any common problems. Transform the frame and orientation of photos by flipping, rotating, resizing, cropping or leveling them. Delete any people, objects or other elements that are unwanted to improve the composition of photos. Insert text into the photo and customize its style and appearance to create unique captions, titles or watermarks. Remove the background from photos to create transparencies or replace it with a new image. Apply various artistic filters such as lomo, black and white, oil painting, sepia or acid to alter the visual style and atmosphere of photos. With so much to offer, you should be able to easily tweak and improve your photos as and how you see fit. Honestly speaking the only thing that you need to get into photo editing using Movavi Photo Editor for Mac is a bit of creative flair coupled with a willingness to experiment and try out new things. Next articleHave You Downloaded the Weather Radar App?